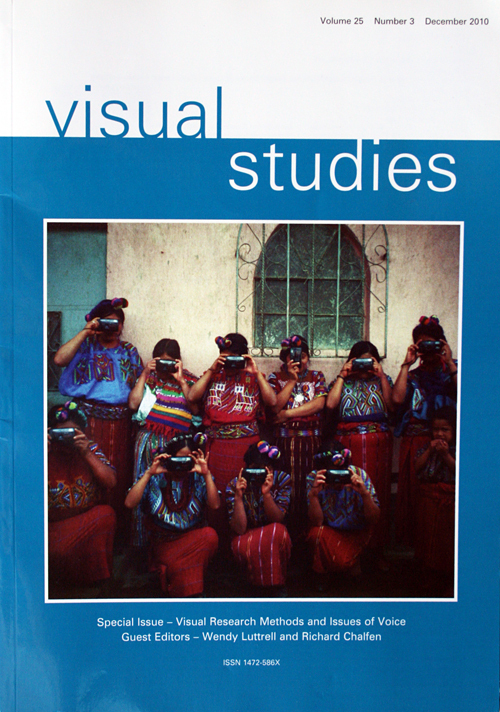 Visual Studies is the official journal of the International Visual Sociology Association. It is published three times per year by Taylor & Francis.As a major international, peer-reviewed journal, Visual Studies presents visually-oriented articles across a range of disciplines. The content represents a long-standing commitment to empirical visual research, studies of visual and material culture, the development of visual research methods, and the exploration of visual means of communication about social and cultural worlds. The multidisciplinary character of the journal is reflected in its attention to visually-based research in sociology, anthropology, cultural and media studies, documentary film and photography, information technology, education, communication studies, as well as other fields concerned with image-based study. Most articles published in the journal are accompanied by appropriate visual material, and the journal encourages visually-led submissions.